Elusyve Jewell: I really wonder about the kind of person one must be to justify stealing and profiting from another's work. What lack of value and morals must one have, and how ugly and greedy one's spirit. 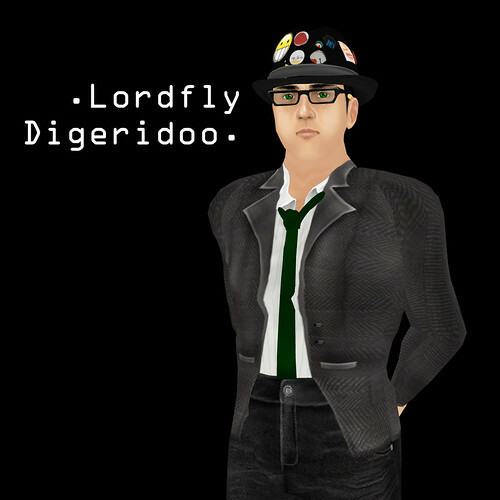 Lordfly Digeridoo: So here's the thing. Copyright infringement is going to happen. I suppose it's inevitable, given that anyone on the internet can make digital copies of... well, anything, as many times as they want, forever. The sweat and blood and tears and cursing of the creator usually has no bearing on whether or not someone is going to yoink a song, or a picture, or a book. And really, there aren't very many of us that are entirely innocent on copyright infringement. Do you have permission to use that picture of a kitten for a LOLCAT? How many mp3s on your 160 gig iPod are actually legal? Did you cite the article you reposted on your blog? But here's the rub - somewhere along the lines, someone actually created that work of art you're just casually copying. Not stealing, copying. On one hand, that's not so bad - you're enjoying the artist's work, which, if he's an actual artist, might appreciate on some level. However, appreciation alone doesn't pay the bills, and instead tends to make one very hungry. The very best artists? Well, they're dirt poor. Think about that the next time you fire up a pirate viewer and yank out 20 gigs of content from a sim. So really, if you enjoy sampling someone's art, and use it daily, think about dropping them some coinage. SL stuff isn't expensive. Houses sell for five bucks. A luxurious dress, $2.50. It won't hurt your bank account, I swear. And it might make the difference between starvation and survival for the guy breaking his back for your enjoyment. Support your artists. Buy their stuff.